You’ll notice I’ve called it the Weekly Photo Challenge. Quite simple really. I don’t possess a smart phone nor do I intend to, ever. Before I moved to this beautiful part of the country I worked for a major telecoms company. Every waking moment was governed by my mobile phone. Emails, conference calls, business calls, there was no escaping… and as technology moved on at an ever faster rate those modern pocket-sized communication devices began to take over my life one phone call at a time. Equipped with cell phones, beepers, and handheld computers, the ‘conspicuously industrious’ blur the line between home and office by working anytime, anywhere. Anyway, to this weeks challenge, Neighbourhood. I’ve just bought a new lens for my camera, a Sigma 10-20mm F4-5.6 EX DC Wide Angle and I’ve been waiting to get out to test it. My favourite spot for testing camera equipment and trying new techniques is Talacre Beach and sand dunes. The beach stretches for miles, gets lots of things of interest washed up which can be photographed. 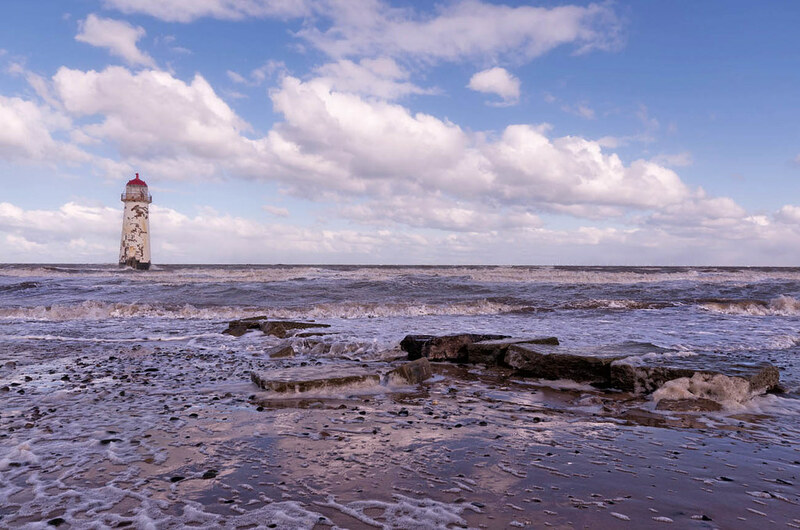 The tide goes way out, allowing access to that abandoned lighthouse. And it’s got lots of visiting birds from other countries, summer and winter. So I’m going to call Talacre Beach, My Neighbourhood. Well it’s more interesting than the street I live in and it’s less than ten minutes drive from my house. Right then, Talacre Beach in the winter is the most desolate place. Often the wind drives in off the sea and you get mini sand-storms, not good for camera gear. You might see the odd person walking a dog but generally it’s very quiet. 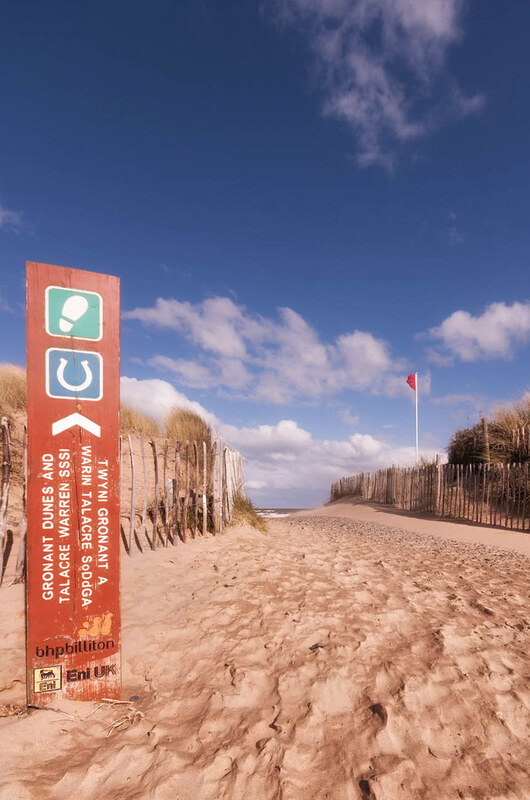 In the summer it’s totally different and the dunes and long stretches of beach attract loads of visitors. To this end a car park is available almost right next to the beach. 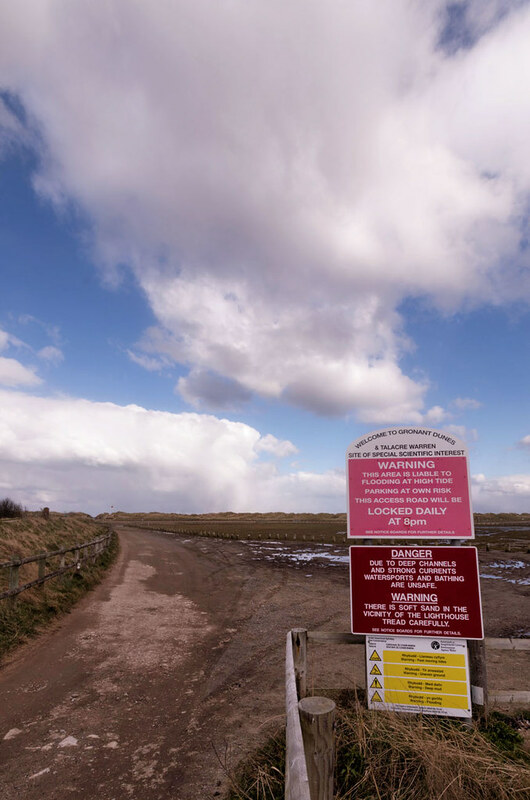 The area around the beach is a Site of Special Scientific Interest (SSSI); large areas of the dunes and the unique wildlife have to be protected. 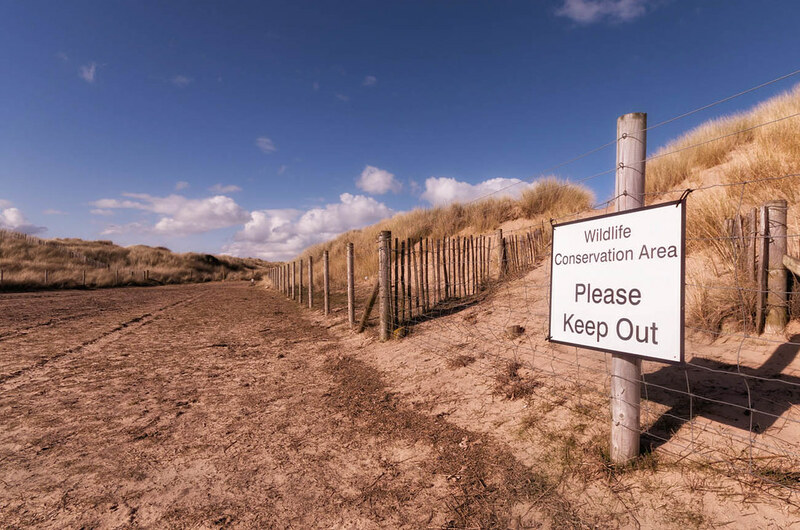 The dune habitats at Talacre support populations of two of our rarest herp species in the UK; the Sand Lizard (Lacerta agilis) and the Natterjack Toad (Bufo calamatia). 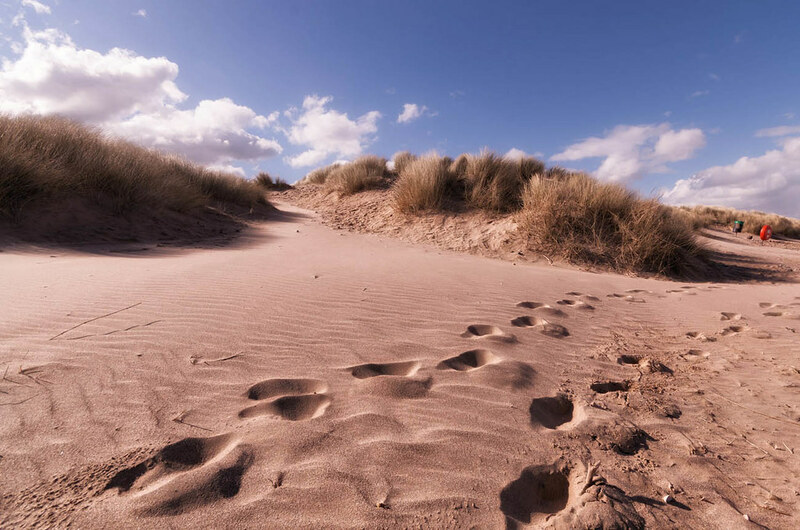 To help preserve the dunes there are clearly marked paths at Talacre and because we are in Wales, all signs are in English and Welsh. The red flag signifies that there isn’t a lifeguard on duty, hardly surprising in the winter time. Although to be honest I have never seen one in the summer either. 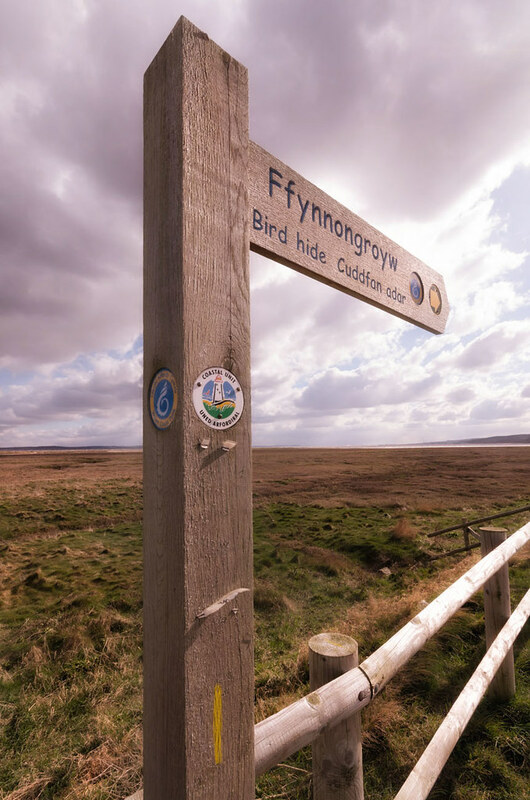 Sometimes if you walk along the beach near the lighthouse it’s possible to see migrating Terns, but it’s the salt marshes at Talacre which are better known as a high tide roost and the best place to spot birds. Curlew, Oystercatchers, Redshank, Knot, Dunlin, Pintail and Ringed Plover have all been seen on the marshes. Spring and Autumn bring other migrating birds such as the Black and Bar-Tailed Godwits. Among the sand dunes behind the beach there are Whinchat, Wheatear, Stonechat, Skylark and various Warblers. 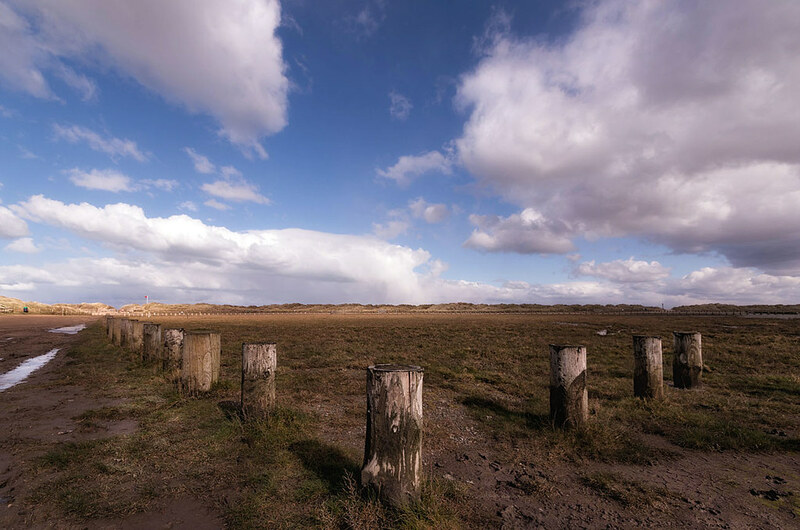 To protect the marshes these large wooden posts have been driven in to the ground to prevent cars driving onto the marshes……. 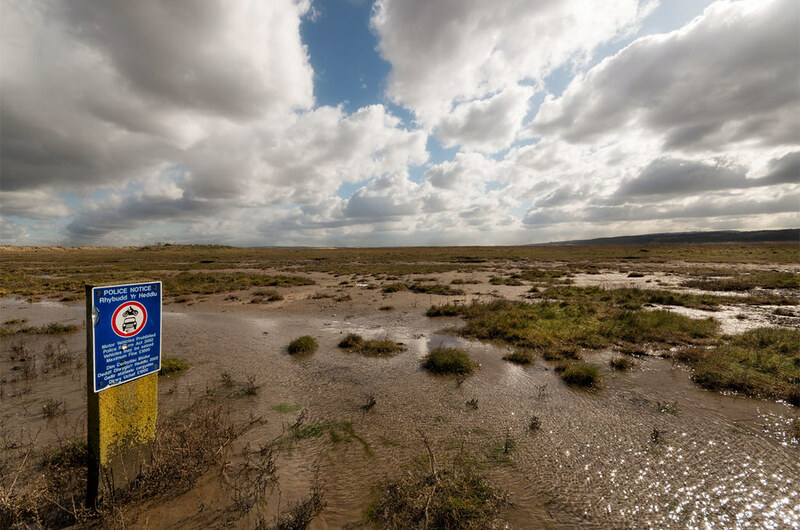 …..and just to make sure the police have put up signs warning of the consequences of driving over the marshes. Don’t believe me. Here’s the same area of the beach car-park taken in October last year when we had an exceptionally large high tide. 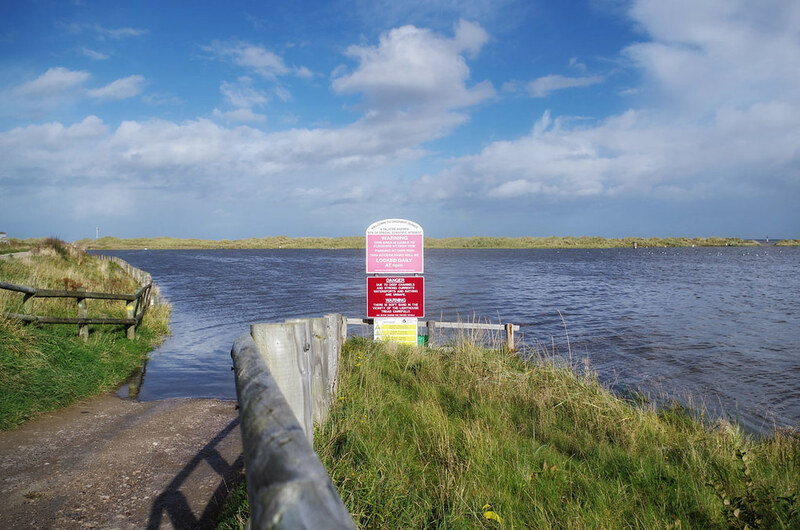 The car park and marshes are under about 4 feet (1.22 metres) of water at this point and the tide was still coming in. Although you can’t see it, to the left of this picture is a higher path and I was able to walk along the path to get near the entrance to the beach, which is the fourth picture in this blog entry. 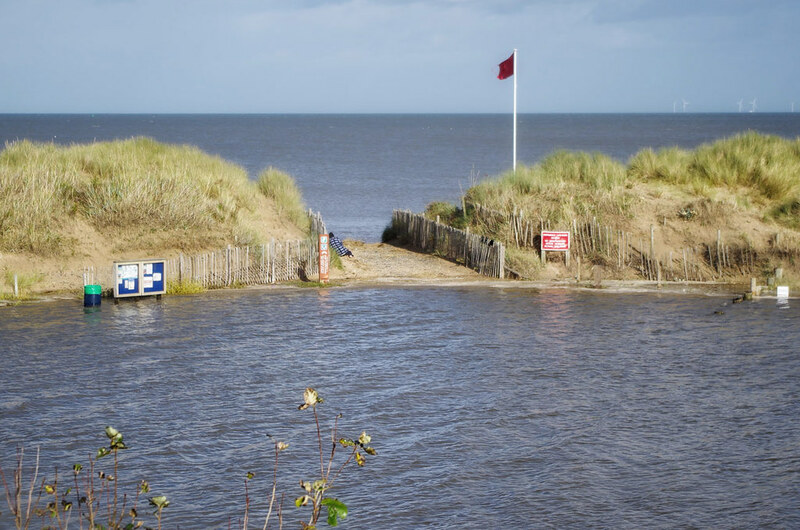 Well, not exactly near it, unfortunately there was a large body of water between the entrance to the beach and me…..and conversely for the poor fellow stuck between the beach and the car park. Like I said pay attention to tide times and tide heights. I heard later he was stuck there for another two hours, waiting for the tide to recede. I mentioned earlier that a lot of birds come in to roost on the marshes when the tide comes in. To make it easier to view them and so as not to scare them the RSPB have built a new bird hide down near the old colliery. I’ve no intention of walking to photograph it but you can always follow the sign, should take you about ten minutes to walk there. 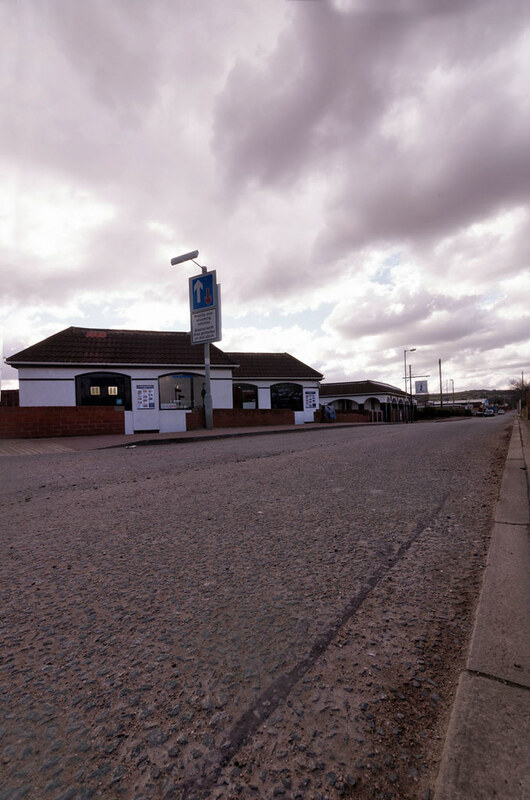 I mentioned earlier that Talacre gets busy in the summer but I really do think there’s nothing so dreary and dull as a sea side place in the winter. The main road down to the beach is almost deserted and by now I was getting extremely cold. When I started to take this series of photographs I was in bright sunlight, the wind was cold, but it was reasonably pleasant. By the time I had finished, the sun had gone in, heavy dark clouds were starting to appear and on the short drive home, less than ten minutes, it was snowing. Great photos of a special place – I don’t blame you for ditching your phone; mine seems to find more use as a camera! Thanks for the ping back. I have a much more serene way of life now…. Stunning views, expertly captured. Well done! LOL on your view of smartphones. I was with Cisco and wish I could give up the Internet based on how much they dominated my life but, just as John Chambers predicted 20 years ago, I am addicted ;-). Lovely post. agree 100% about the phone which is why I have joined this particular challenge – no camera on my phone! Love your photos – you live in a beautiful part of the world. I have three Sigma lenses, for wildlife, the 150-500mm, as a general walkabout lens the 18-200mm and of course the new one. But I still use my Pentax 18-50 weather resistant lens as my main one, especially on the beach. Thanks for the pingback…I enjoyed the “cruise” through your lovely neighborhood! 🙂 I found it interesting the number of people who commented on the dislike of taking a picture with their phone camera….fortunately (or unfortunately, not sure which one it is) I only have the camera on my phone, so that is all I use to take pictures with. Until then…thanks again, and have a wonderful week!